Under Florida law, if a workplace injury was occasioned primarily by the influence of alcohol or drugs, workers’ compensation benefits can be denied. Section 440.09(3), Florida Statutes (2018) (Interestingly, while this section provides that “Compensation is not payable,” with section 440.02(7) defining “Compensation” as “the money allowance payable to an employee or to his or her dependents,” the law is used to deny all workers’ compensation benefits, including medical benefits. The issue was addressed in Gustafson’s Dairy, Inc. v. Phillips, where “Compensation” was interpreted to include both medical and indemnity benefits.) It is a popular defense. Typically, some level of medical care is provided before the workers’ compensation insurance carrier becomes aware of the drug and alcohol test results. 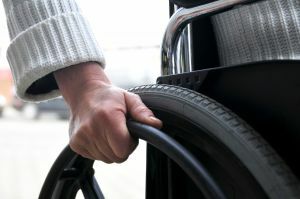 For example, our firm is handling a roofing accident resulting in paraplegia for which nearly $200,000 in authorized medical care was provided before a positive test result became known. Statute 440.102 deals with drug free workplace programs. Only a small percentage of employers operate these programs; the roofing accident employer did not. The carrier in our case may try to use this factor to argue against being bound by 440.102(5)(p). We believe that it would be wrong. These burden differences are significant and just one example of many advantages afforded employers operating drug free workplaces. Hence, it is not logical to conclude that an employer meeting the stringent drug free workplace standards would have greater liability to pay medical expenses than a non-compliant employer.